Shin Bet, Police arrest cell of 8 Bedouin who smuggled drugs between Israel and Sinai, deliberately damaging IDF infrastructure at border. It has been cleared for publication that, within the framework of joint activity of the Shin Bet and Israel Police, eight Israeli citizens from the Bedouin town of Bir Hadaj in the Negev were arrested last month. 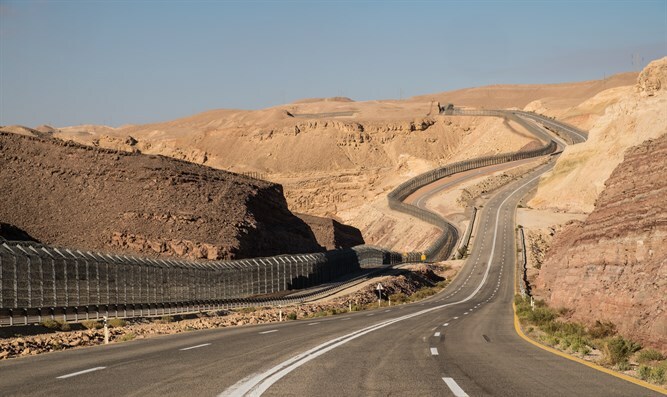 The eight are suspected of involvement in drug smuggling on the Israel-Sinai border, while deliberately causing serious damage to IDF infrastructure along the border to allow for large-scale smuggling. Interrogation of members of the cell revealed that on the night between April 13 and April 14, they were involved in large-scale drug smuggling at the Sinai border and that in order to facilitate the smuggling, some of them, in accordance with previous planning, caused damage to IDF infrastructure on the border. The actions of those involved caused damage to the IDF's security activity along the perimeter fence. On Wednesday, the Southern District Prosecution filed indictments against the members of the cell in the Beer Sheba District Court. Five of them were implicated in serious security offenses.